It is me re-imagined as a beaver. You can tell that it’s me because it looks like me, albeit with beaver characteristics. I am often caught with a Walter Matthau hang-dog expression on my face and five days out of seven can be seen wearing what resembles a suit, and pretending to be an adult. This re-imagining was drawn courtesy of Reuben. This is officially the best drawing of me ever and is practically on the same level of dedication and excellence as the drawing my niece did of her dad with penises for hands. 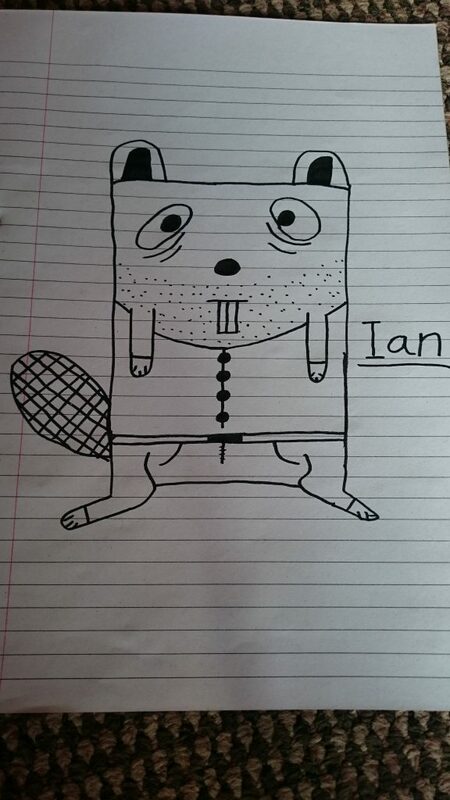 I only wish I looked as good as Beaver Ian. I’m a little troubled by Beaver Ian’s arms. They seem to come straight out of his face, but his hands seem to be emerging from cuffs which means the arms themselves must be inside sleeves. Are the sleeves part of Beaver Ian’s face? I have no idea how this works. He’s captured your penchant for muching wood excellently. How do you much wood? That was almost a “joke” until your poor grasp of spelling and grammar ruined it. In all this sea of incompetence and filth, nobody has bothered to answer my important question. Was the question ‘what is the actor Christopher Timothy up to these days?’? No. I don’t know who Christopher Timothy is but I’m going to assume he’s a friend of that Gerry Wilbert fellow you keep banging on about. According to Google, he’s some Welsh fellow we’ve never heard of. Is Gerry Wilbert the guy who invented the holes in cheese? He probably is. The things Ian talks about usually come back to cheese one way or another. The actor Christopher Timothy is an actor. He was a vet once. Now he’s in Eastenders. You should know that, Chris, given you work for the Beeb. Come on now. I don’t know that. I don’t know anything about Eastenders. I’m not sure I know anything. Including who the actor Christopher Timothy is. I still feel like the answer to my original question about Beaver Ian’s sleeves is eluding us. 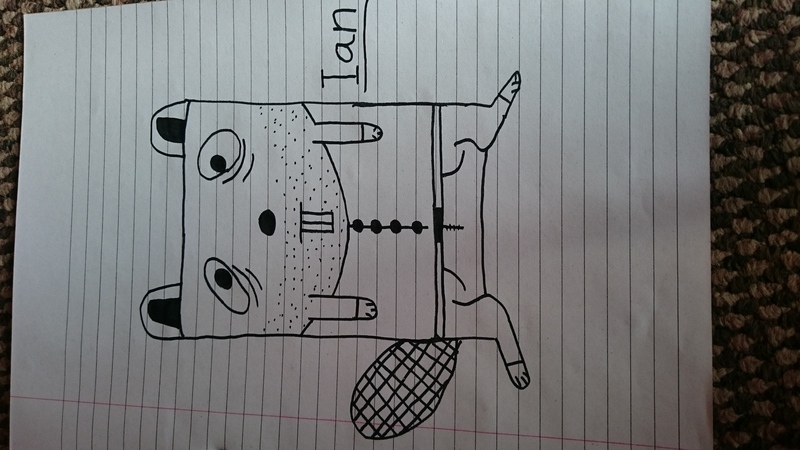 My dear boy, normally I would be more than happy to answer any questions about the anatomy of Beaver Ian. However, one cannot forget the fact that one asked one a question about researching early 90’s dance music videos which was met with much avoidance and then silence. One, therefore, will not be responding to your queries. I don’t want an answer from One. I doubt One knows anything worth hearing on this subject. One hears the bitterness in your tone and one does not rise to it. In which case I think our dealings with this subject are at an end and the nature of Beaver Ian’s disturbing skin sleeves will forever remain a mystery.